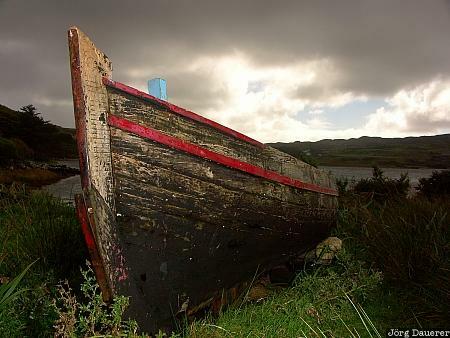 A boat in Connemara, county Galway, Republic of Ireland partially illuminated by a flash gun (used as a fill flash). This photo was taken on a sunny day in September of 2005. This photo was taken with a digital camera.